A science-fiction action RPG developed by BioWare, the creators of such cult games as Baldur’s Gate and Neverwinter Nights. The story takes place at the end of the 22nd century. Mass Effect for PC, X360 and PS3 is an extensive production of the RPG genre with many elements of action games. It was produced by BioWare (creators of popular and recognized Baldur's Gate, Neverwinter Nights, and Star Wars: Knights of the Old Republic). It is also the first installment of a trilogy. The game is set in the year 2183 when humanity is spread across the galaxy and forced to cooperate or fight with the alien civilizations for their place in the universe. The players assume the role of Commander Shepard, the first human Spectre, a sworn defender of peace. His main task is to stop the army of a former operative, Saren, who defied the established order and wants to take revenge on the human race. Together with their team, the players journey across a number of unknown worlds. During their travels, they will discover that the real threat is much more serious than it was previously anticipated. In addition to the extensive and interesting storyline (the choices have an impact on subsequent events and decide on the fate of the galaxy, we also discover lost civilizations, new forms of life, resources, or even powerful technologies), the developers implemented a system of commanding the team, thanks to which combat resembles that of tactical action games. The protagonist becomes the leader of a three-member team and may issue orders to his subordinates. Each companion, just like the main character, become stronger over time (we collect experience points and assign them to certain skills). The players have their own powerful spaceship at their disposal in which they travel space exploring various planets. When moving or fighting on the ground, they can use a combat vehicle called Mako. It is also necessary to devote considerable amount of time to properly selecting the equipment (armor, weapons, accessories, etc.). During the adventure, the player meets a large number of NPCs for which the BioWare staff prepared a comprehensive dialogue system. 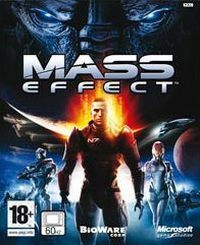 Compared to the Xbox 360 version of Mass Effect, the PC one features a modified user interface, as well as improved visual settings thanks to which the game runs at higher screen resolutions. During combat, other changes, such as inventory, are also noticeable. Inventory and weapon upgrading system are also much easier to use. There is also a new mini-game which goal is deciphering. Full detailed walkthrough, side-quests, uncharted world, achievements list.